Grapes and Marble Berries come together this spring in a unique anti-aging, antioxidant nourishing facial. Antioxidants feed our skin cells to create glowing, radiant skin. The sweet-smelling Grape Enzyme in this protocol looks and feels just like the inside of a grape. Grapes are rich in antioxidant polyphenols and offer anti-aging preventative benefits, while papain offers mild exfoliation. Congested skin at any age can be a challenge. Control breakouts, blackheads, whiteheads pore size,oil production and acne on all levels. Try our new Un-Plug Gel for both galvanic or manual deincrustation. 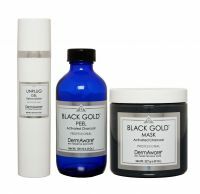 Follow up with our Black & Gold Peel and Activated Charcoal Peeling Mask for the ultimate skin purification. 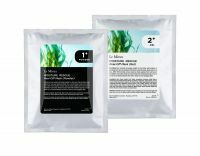 Le Mieux Moisture Rescue Peel-Off Mask breathes new life into stressed, post-procedure skin with an oxygenating blanket of moisture. The hybrid synergy of powder plus gel morphs into a skin-perfecting mask to instantly relieve irritation, stinging, and redness, while reducing signs of premature aging and culminating in a radiant, rosy glow.